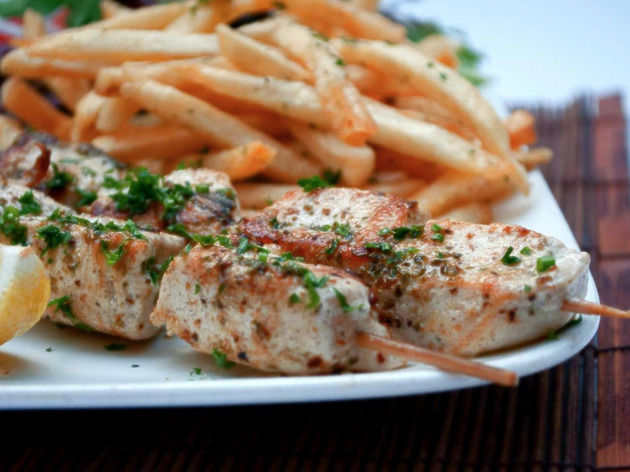 Executive chef Nikos Maheras hails from Athens, but his cooking expertly marries ingredients from Greece and Northern California. The bi-level eatery is casually elegant, like a modern Greek taverna without the kitsch. Try the Arni Youvetsi, a lamb shank marinated in cinnamon, nutmeg, tomato sauce and red wine, and the seafood pasta loaded with fresh prawns, calamari and mussels. The wines are imported from Greece, of course, as are the sodas. 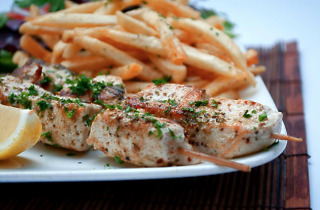 On warm nights, the few outdoor tables go fast—particularly before 7pm, when the spot offers discounts on dolmas, tzatziki, soutzoukakia, kalamarakia and wine.